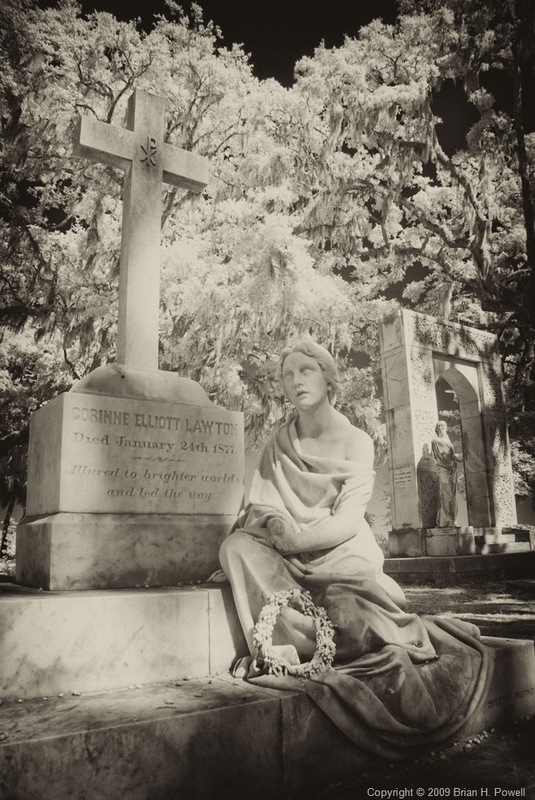 I spent some time in Bonaventure Cemetery in Savannah, Georgia, yesterday. It’s one of the newer cemeteries in Savannah, meaning that it’s less than 150 years old. The cemetery is known for its ornate statuary on the graves. I had infrared photography in mind even before I went. Here’s one of my favorite shots.